Sentai Filmworks is proud to announce its acquisition of RIN-NE, the latest Anime adaption from legendary mangaka Rumiko Takahashi, creator of Ranma ½ and InuYasha. 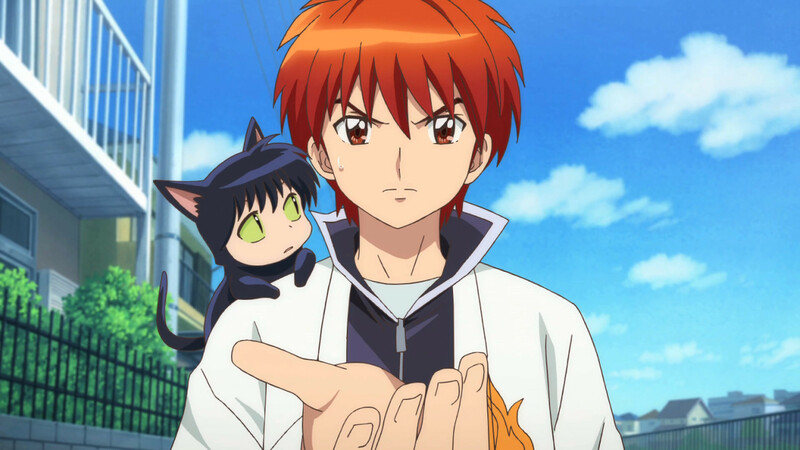 Kyokai no Rinne is a genre bending supernatural comedy depicting the story of Sakura Mamiya, who is suddenly able to see ghosts after a mysterious disappearance into the woods in her childhood. One day, the normally empty desk next to her at school is filled by a new classmate named Rinne Rokudo, changing her life forever. Shizutaka Sugahara is directing the series, with series composition provided by Michiko Yokote. Kazuhiko Tamura is handling character design, with Akimitsu Honma in charge of sound direction. Animation production will be handled by Brain’s Base, best known for their work in such shows as Baccano!, Kamichu!, and The Kawai Complex Guide To Manors and Hostel Behavior. RIN-NE is scheduled for an April 2015 release and will be available soon through select digital outlets with a home video release to follow.